An acknowledged thought leader and powerful voice dedicated to supporting the success of each learner, Scott Kinney has nearly 25 years of experience in the fields of professional learning and educational technology. As Discovery Education Senior Vice President of Educational Partnerships, Kinney collaborates with educators and administrators around the world to develop and implement customized solutions that empower them to meet strategic goals and build modern, digital learning environments supporting student achievement. Under his leadership, Discovery Education is serving 3 million educators and over 30 million students around the world, and transforming teaching and learning in half of U.S. classrooms, over 40 percent of all primary schools in the UK, and in more than 50 countries. 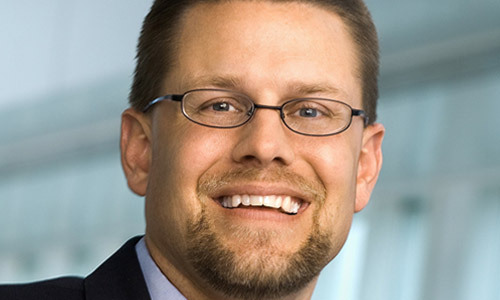 Previously, Kinney served as Discovery Education’s Senior Vice President of Professional Development. In this capacity Kinney led the creation and launch of Discovery Education’s professional learning portfolio and managed all facets of the professional development line of business. During his tenure at Discovery Education, Kinney also launched the Discovery Education Masters degree in Instructional Media, oversaw all Discovery Education public policy initiatives at both the state and federal levels, and supervised the continued growth of the organization’s professional learning community, the Discovery Educator Network. Kinney regularly consults with high-level education officials and policymakers, and has testified before Congress on the Future of Learning. An accomplished public speaker and author, Kinney has keynoted countless education conferences, presented at numerous administrator events, and has contributed articles and opinion pieces to various education publications. In 2015, Kinney was recognized by EdTech Digest with their prestigious Leadership Award for his efforts to support school systems worldwide as they transition from static textbooks to dynamic digital content as a core instructional resource. Prior to joining Discovery Education, Kinney spent 15 years in public education serving at both the school district and regional service center levels. In addition to his K-12 work, Kinney has taught undergraduate and graduate classes for Kent State University and Penn State University, and has served on numerous education-focused advisory boards.